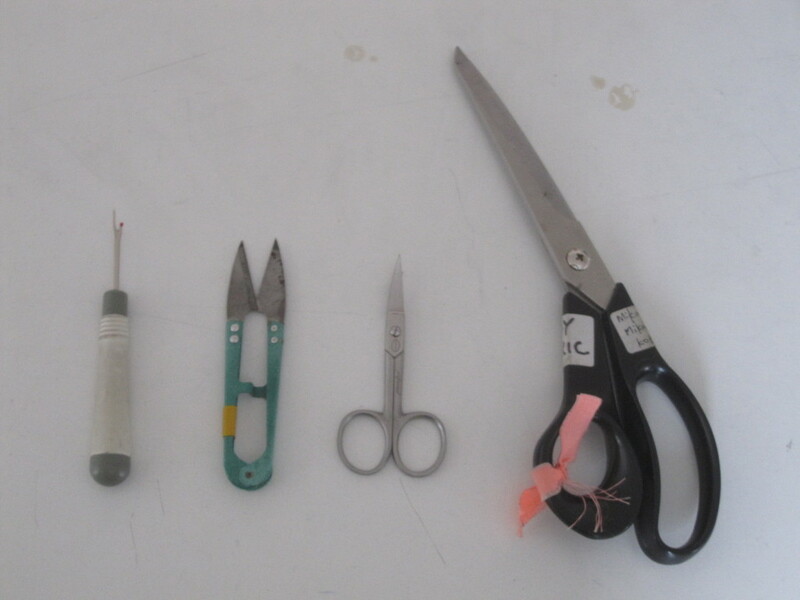 Often when I am working with eTextiles, I need to cut normal thread, fabric, conductive thread, wire and strip isolation layer of wires spontaneously. 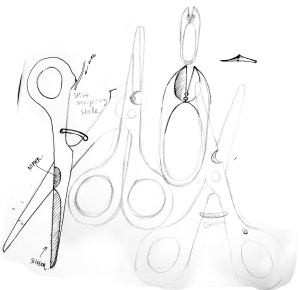 Instead of swapping the tool for the things to cut, it will be nice if there was a scissors that can cut more than one kinds of materials. 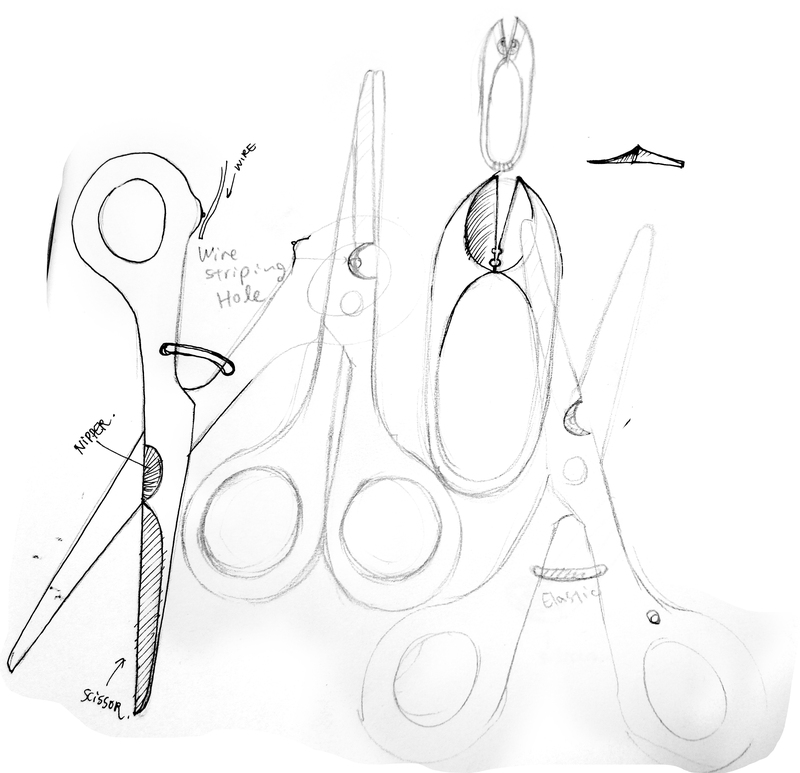 Of course we need to consider the characteristics of the scissors (i.e. 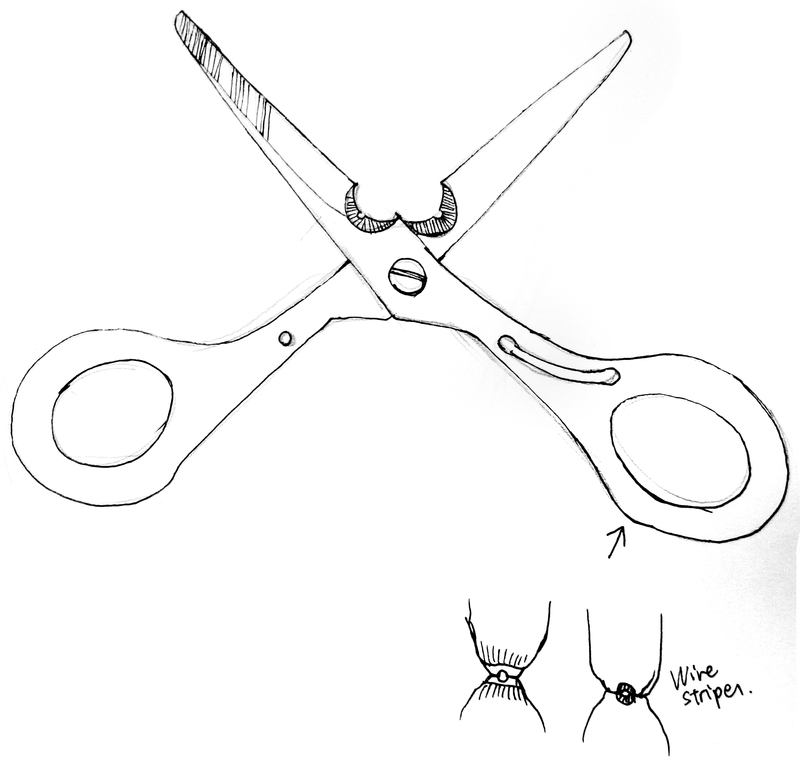 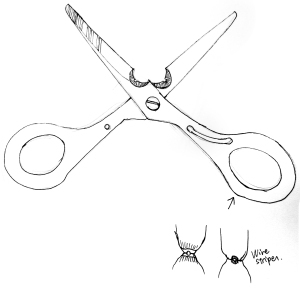 you need the whole length of the scissors for cutting fabric, while you need only a small parts when snipping thread).